The course of the Mothman 5K will provide participants with the perfect race scenery. POINT PLEASANT — Mothman Festival goers can begin their first day of festival adventures by participating in the Mothman 5K race/walk. The race will be held in the morning on Saturday, Sept. 15. Registration will begin at 7 a.m. at the Mothman Museum located at 400 Main Street with the starting line up being between Eighth and Ninth streets at Christ Episcopal Church. The race will kick off at 8 a.m. Cost of registration is $35 and those who registered prior to Sept. 3 are guaranteed a Mothman 5K t-shirt. Participants are encouraged to ‘dress up’ in any fashion they feel, but awards will not be given out for costumes. The age groups for the race are as follows: 12 and under, 13-19, 20-29, 30-39, 40-49, 50-59, and 60 and over. Finisher medals will be given to all the participants and a Mothman gift will be given to the first overall male and female finisher. Also, medals will be awarded to the top two runners in each age group. The race organizers commented the course is flat and contains street, grass, and gravel during the participants travel through historical downtown. 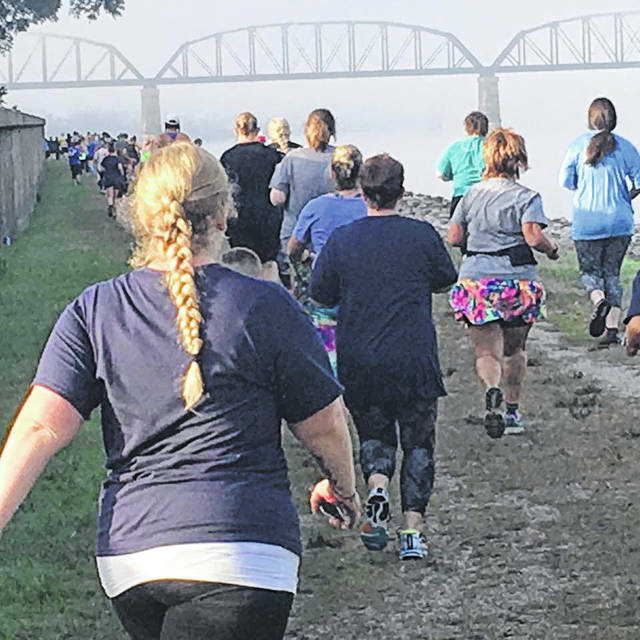 The course will take participants through Main Street, Tu-Endie-Wei State Park, and through the Riverfront Park where the murals and Ohio River will make for the perfect race scenery. From the starting line up, participants will go north on Main Street through the dead end, then turn left and go south along the river until entering Tu-Endie-Wei State Park. Then, participants will take a slight left and follow the sidewalk past the cabin and follow the sidewalk/path around the perimeter of the park, then exit the park and go north on Main Street. Continuing, participants will turn left when they get to the Mothman Museum, run between the post office and Lowe Hotel, go through the flood wall, turn right, head north along the river to the end, then go right and head back south on Main Street until they reach the historic state theater. Once participants reach the finish line, free refreshments will be available to them and they can continue on to more adventures on the first day at the 17th Annual Mothman Festival. Some information in this article was provided by http://www.tristateracer.com/event.php?RaceID=9947. https://www.mydailysentinel.com/wp-content/uploads/sites/14/2018/09/web1_0908.5K.jpgThe course of the Mothman 5K will provide participants with the perfect race scenery.